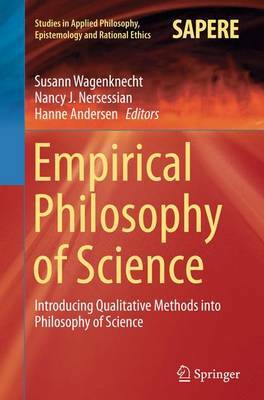 The book examines the emerging approach of using qualitative methods, such as interviews and field observations, in the philosophy of science. Qualitative methods are gaining popularity among philosophers of science as more and more scholars are resorting to empirical work in their study of scientific practices. At the same time, the results produced through empirical work are quite different from those gained through the kind of introspective conceptual analysis more typical of philosophy. This volume explores the benefits and challenges of an empirical philosophy of science and addresses questions such as: What do philosophers gain from empirical work? How can empirical research help to develop philosophical concepts? How do we integrate philosophical frameworks and empirical research? What constraints do we accept when choosing an empirical approach? What constraints does a pronounced theoretical focus impose on empirical work? Nine experts discuss their thoughts and empirical results in the chapters of this book with the aim of providing readers with an answer to these questions.